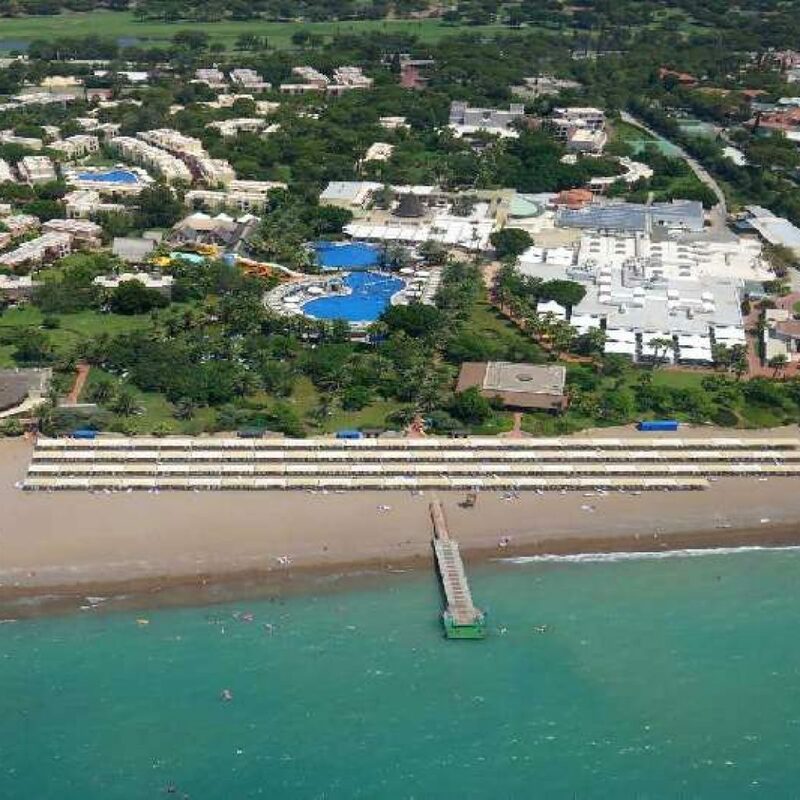 The hidden corners of the Mediterranean sea with the blue and green colors, you can enjoy in Beldibi Grand Park Kemer on the sea and nature. 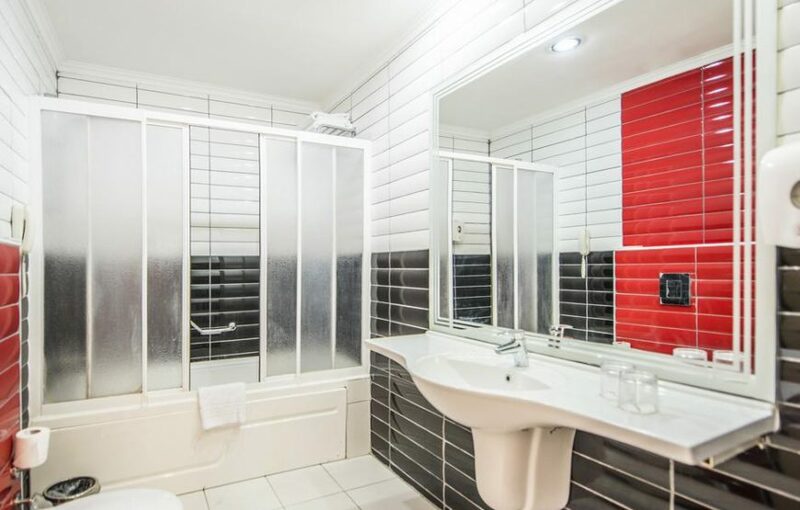 Property is 2 minutes walk from the beach. 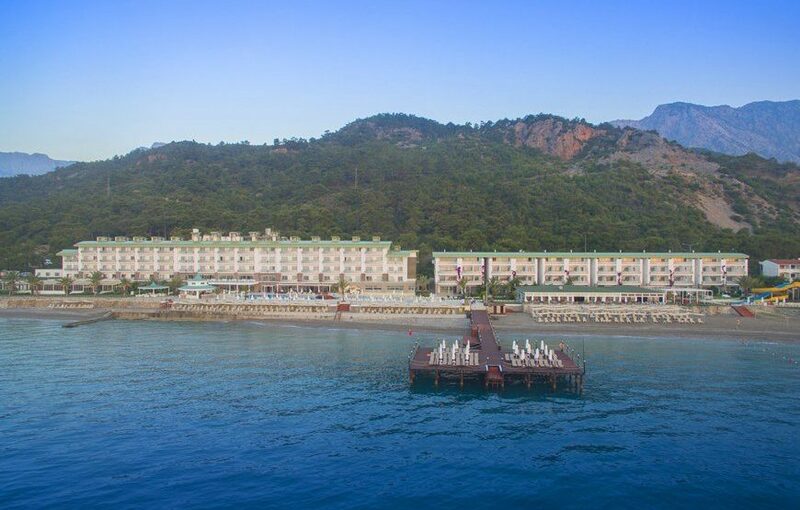 Situated directly on the waterfront, Grand Park Kemer Hotel offers luxurious spa facilities and an outdoor pool overlooking the Gulf of Antalya. 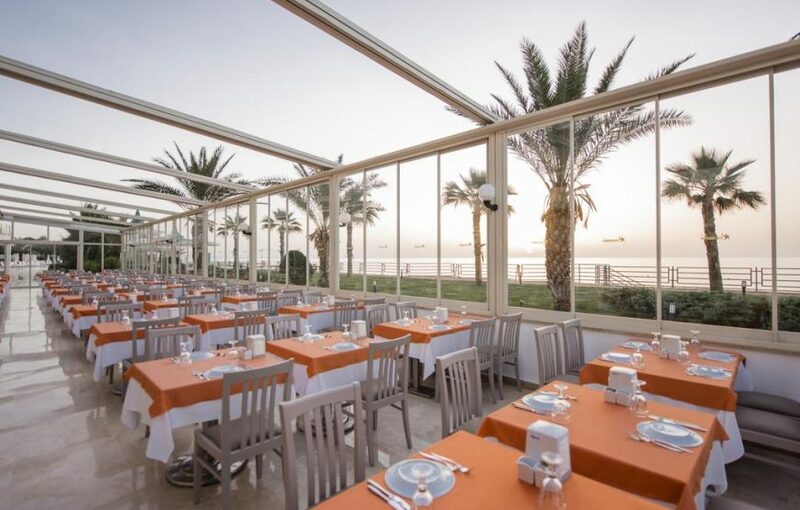 Its á la carte restaurant serves Turkish and international cuisine. 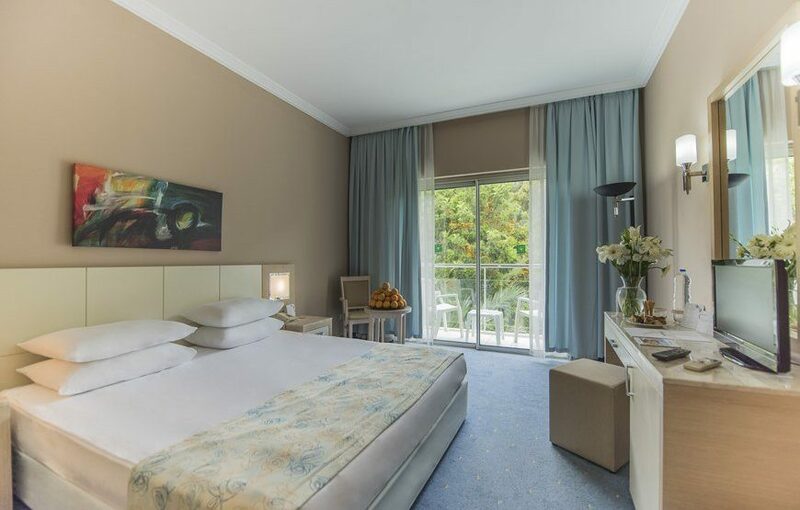 Decorated in calming colours, all rooms at Grand Park Kemer Hotel feature large windows which let in plenty of natural light. 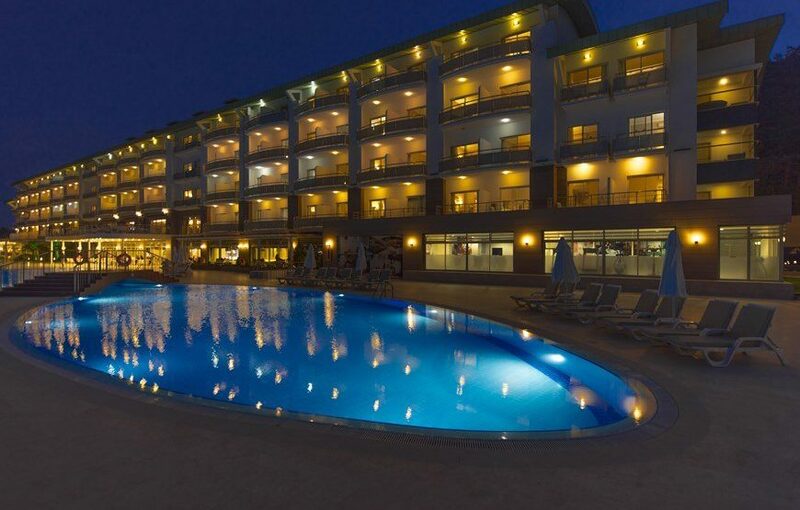 Each has a furnished balcony with views of the Mediterranean Sea or the forest. 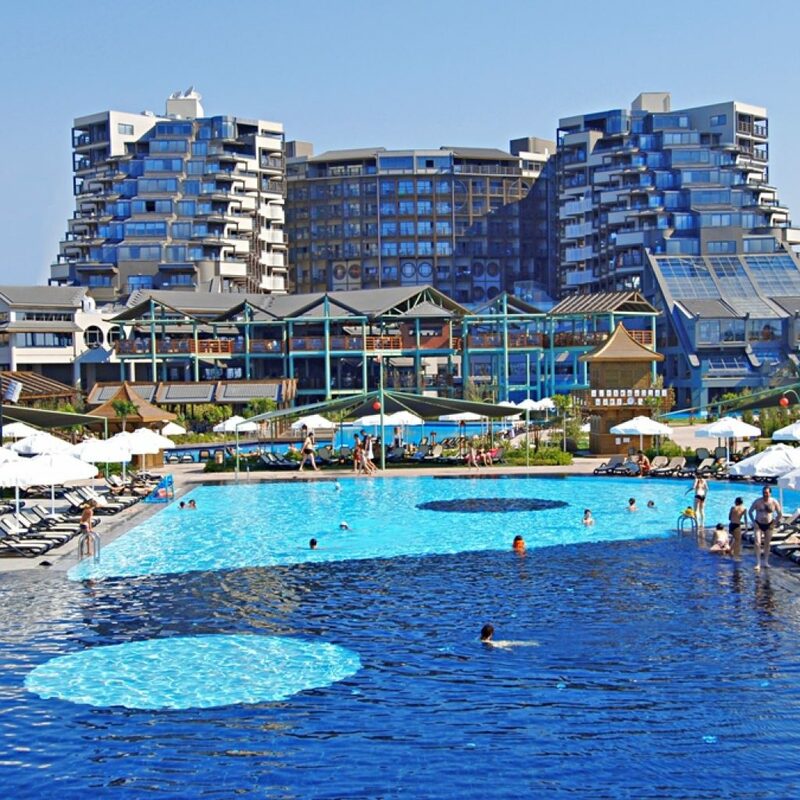 Grand Park Kemer Hotel is the right place for an unforgettable honeymoon vacation. 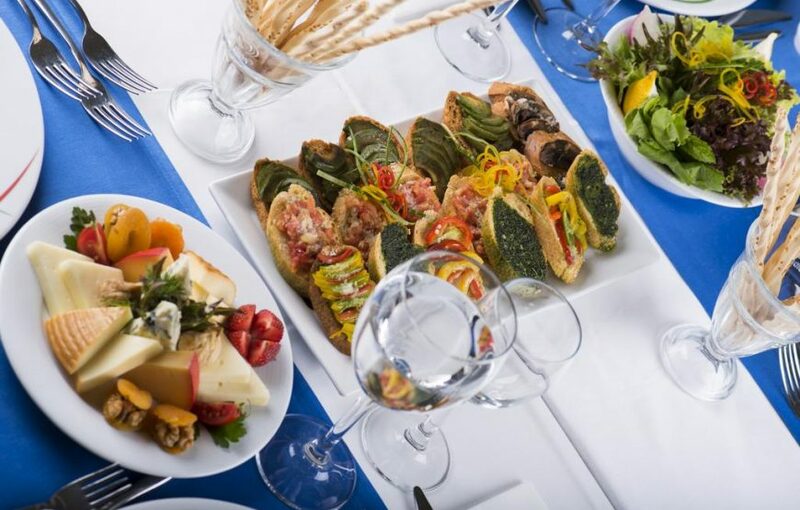 Its A’ la carte restaurant serves Barbecue and Italian cuisine. 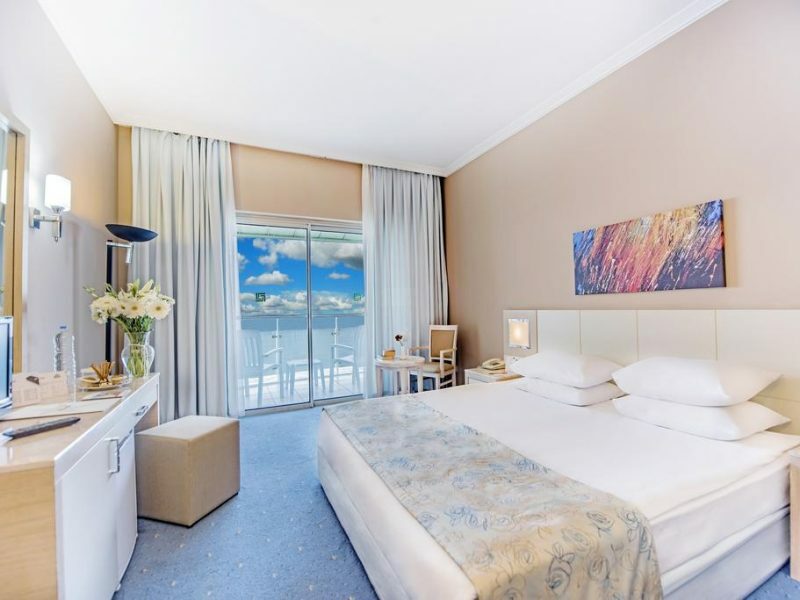 Decorated in calming colors, all rooms at Grand Park Kemer Hotel feature large windows which let in plenty of natural light. 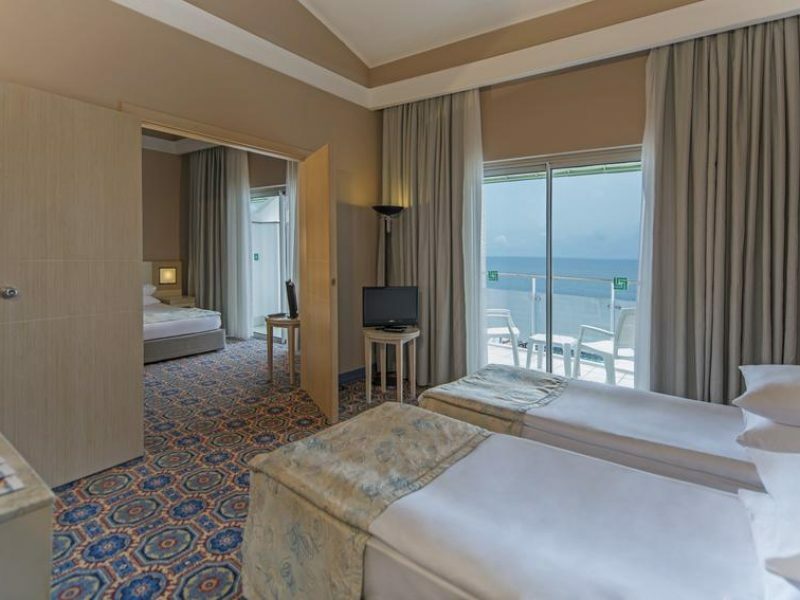 Each has a furnished balcony with views of the Mediterranean Sea or the forest. 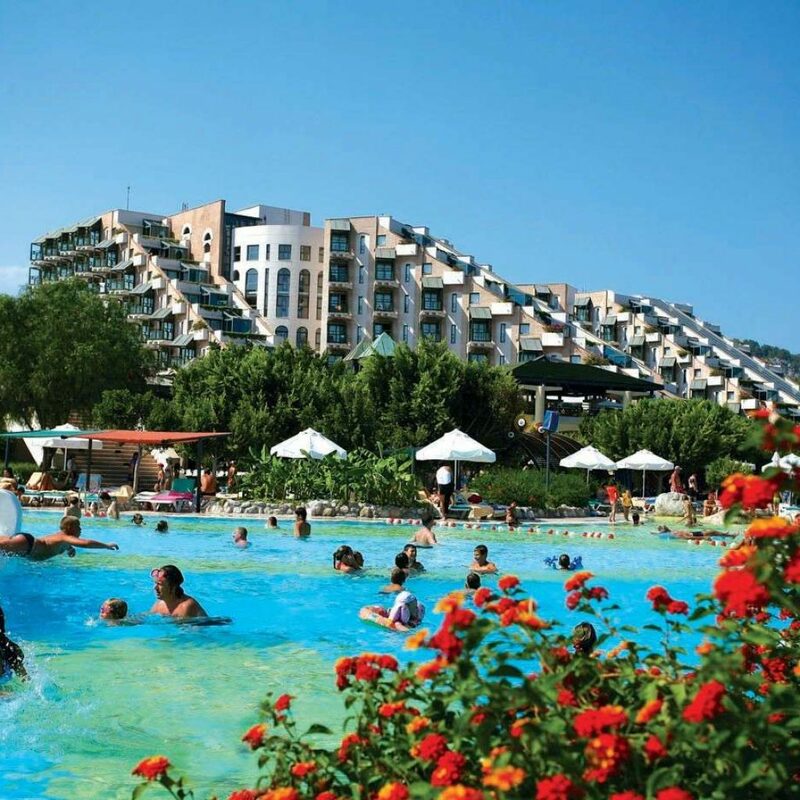 Grand Park Kemer is located in Kemer, just 2 minutes away from the beach. 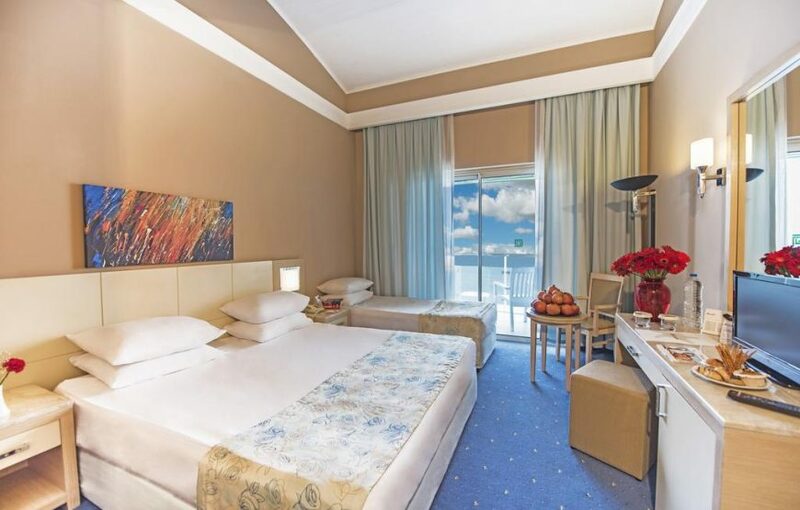 Our Hotel is located 27 km from Antalya Airport. 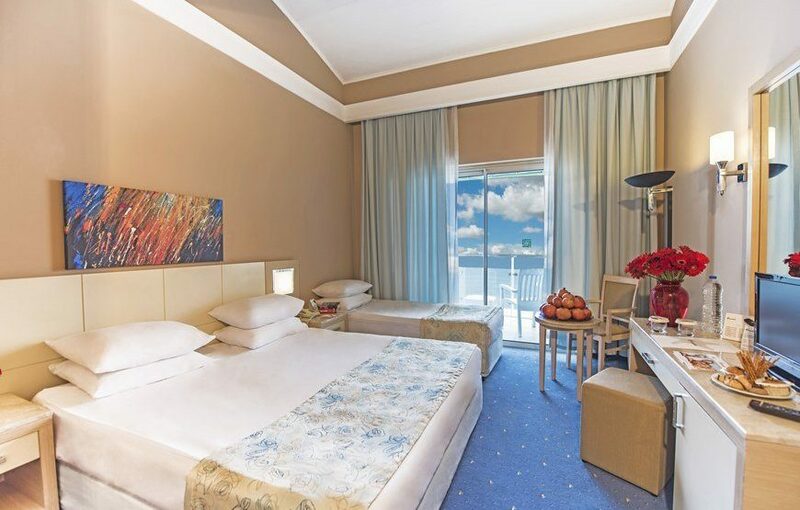 Grand Park Kemer has 305 rooms, consisting of Standard and Family Rooms and a capacity of 612 beds, are awaiting you. We thought of all necessary details in our modern designed rooms where we kept your convenience in forefront to ensure your comfort. 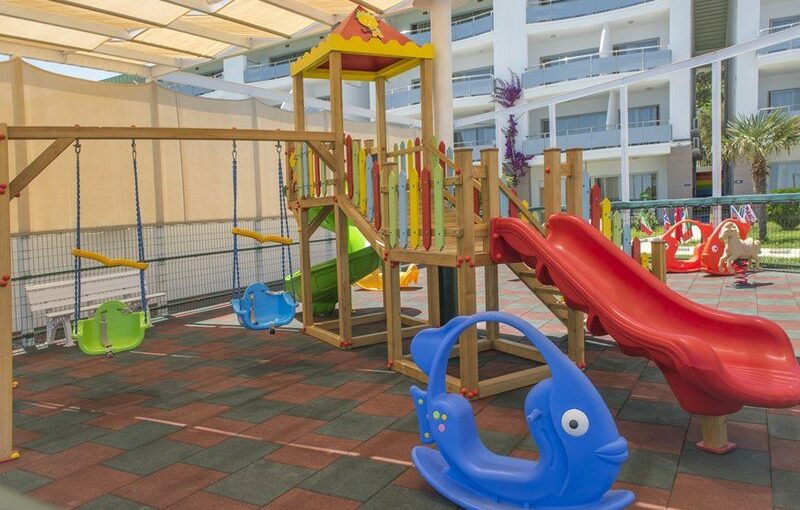 For children aged between 4 – 12 years we have a mini club with an in- and outdoor playground. 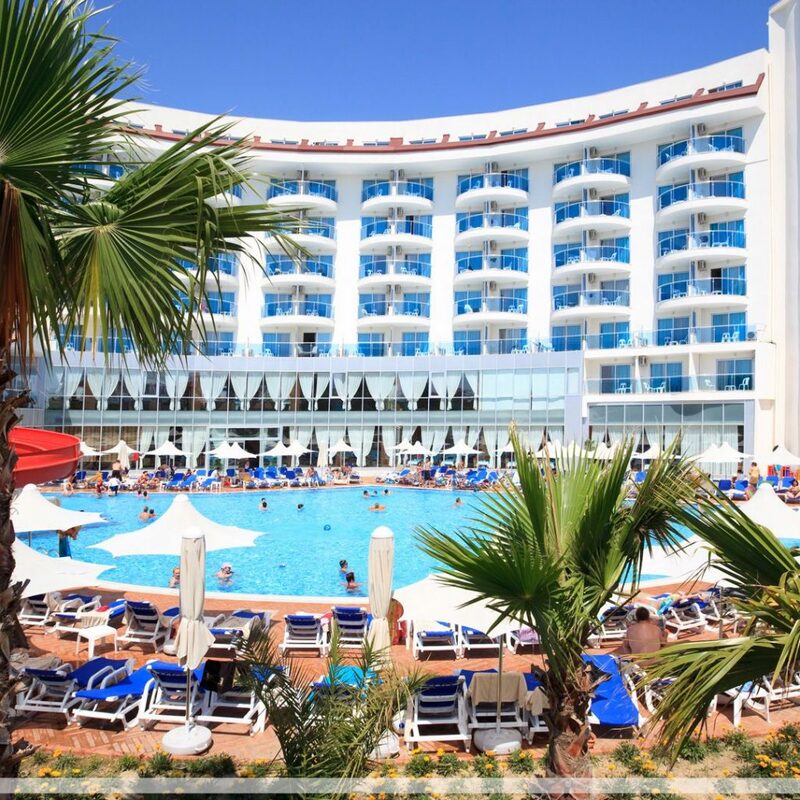 Our mini club team is working throughout the day which gives you the possibility to enjoy your holidays without being concerned about your children. 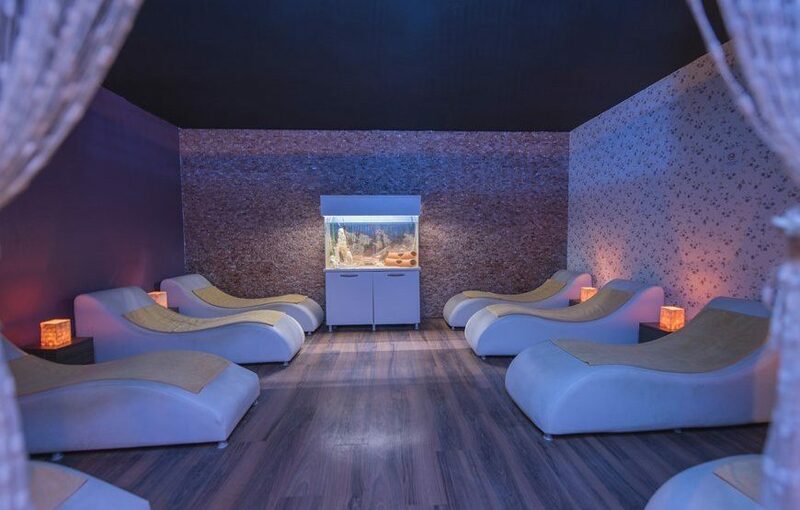 Have a refreshing dip in Grand Park Kemer Hotel’s indoor pool or treat yourself a relaxing massage. 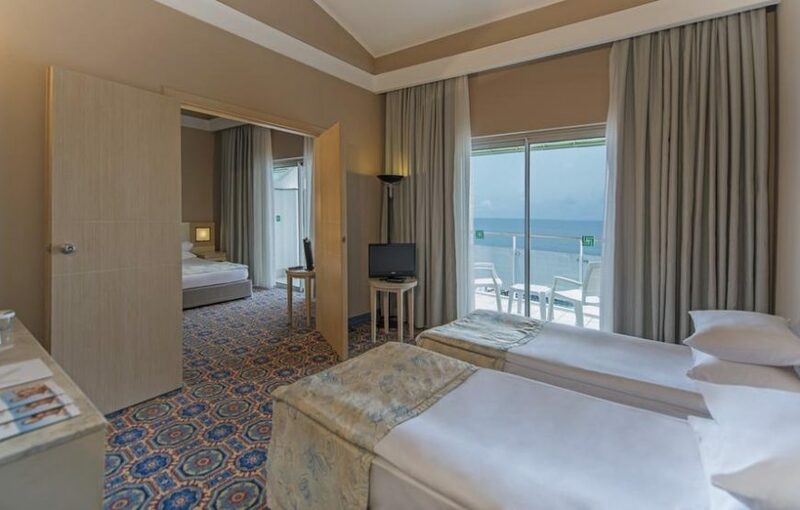 Grand Park Kemer Hotel also offers a Turkish bath, sauna and a beauty center. Guests can enjoy the barbecue and Italian cuisine at the on-site restaurant. We thought of all necessary details in our modern designed rooms where we kept your convenience in forefront to ensure your comfort. 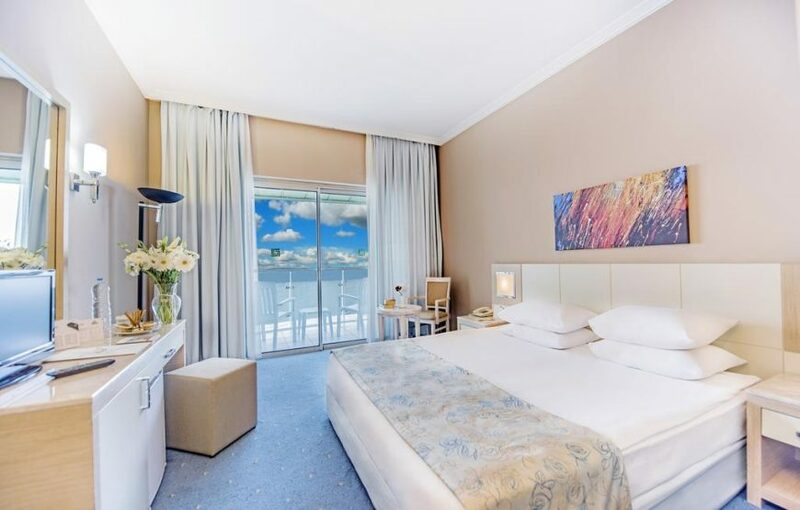 The rooms feature a bathroom with shower, toilet, hair dryer, direct dial phone, minibar, safe box, satellite tv, Wi-Fi and split air conditioning. 0.0 "hello!,I like your writing so a lot! share we keep up a correspondence extra approximately your post on AOL? I need an expert in this space to resolve my problem. Maybe that's you! Taking a look forward to look you. http://www.folorentorium.com/"